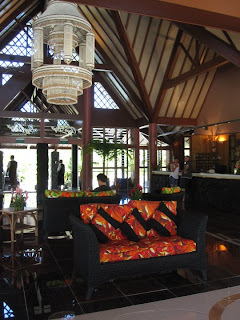 Just a short and sweet post about Aggie Grey's Hotel and Resort. You always hear people talking about the bad rather than the good, so thought I would be a little different and make sure people hear about the good as well. I stayed here for about 5 nights and have never felt so relaxed. Aggie's has two options, the Hotel and Resort as well as their Hotel and Bungalows. 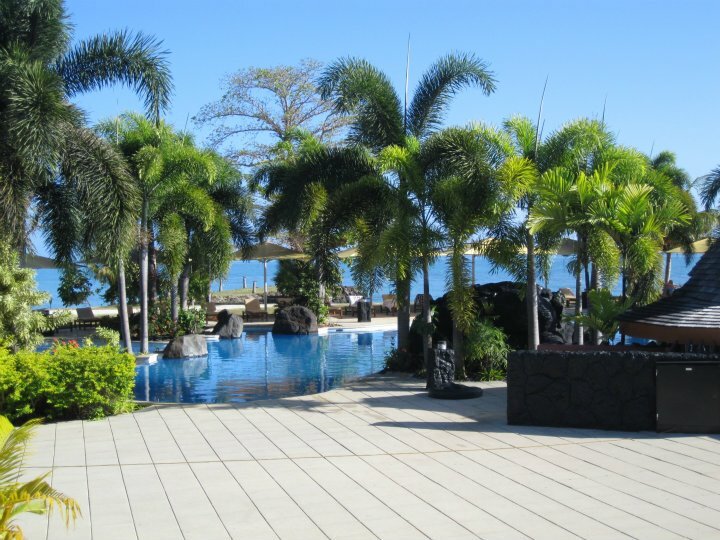 The resort is located about 10 minutes drive away from the airport but right on the coast, on a man-made lagoon. Where as the bungalows are situated right in the heart of town, so both have their pros and cons. 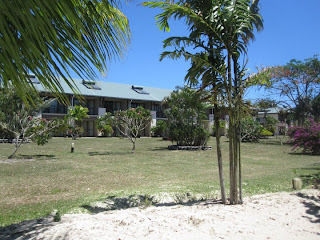 The bungalows are little older but I would say has more character, and has the traditional Samoan vibe about them as well. The good thing is that Aggie's do provide a free coach service between these two properties for their guests so you can get the best of both worlds. 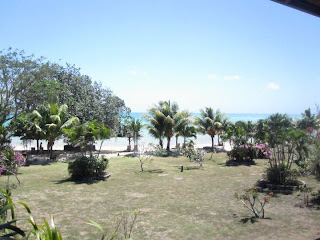 All rooms at the resort have their own private balcony and face the beach. The rooms are clean and fitted with a mix of traditional Samoan furniture as well as being slightly westernised. Staff are very, very friendly and accommodating. They have four restaurants to choose from all having a different theme, cuisine and price range. Easy to say, all are delicious so it just depends on what your budget is really! They have a lagoon pool or you can opt to sit on their beach instead. There is a swim up bar in the pool or else, if you are on the beach they do have waiters walking around to take food and drink orders so you can just literally be a beach bum. For those who want the full relaxing experience, they also have an onsite spa and massage place. 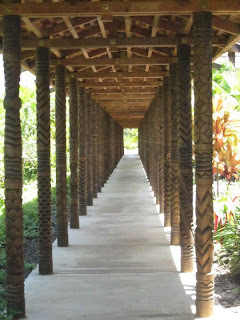 You're welcomed into a half fale, and taken out to their open massage areas set out in their tropical bush. A perfect setting to relax and just take everything in. I also managed to get an introduction dive in one day, which they take you out to their infamous 'fish bowl'. If you had wanted, you can also sign up to do a full PADI course here and get qualified. Their diving instructors are very professional and you know you are in good hands. I would definitely recommend doing this if you have the extra time. 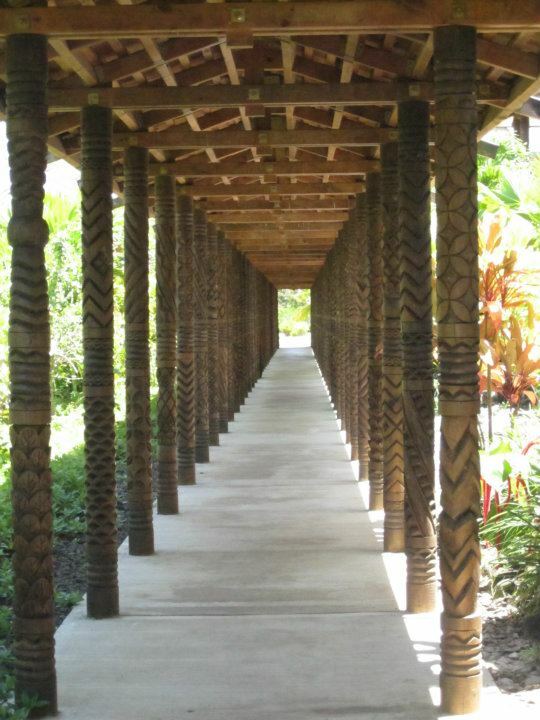 Walkway from the reception area through to your room. View from the beach looking to the rooms. The lagoon pool, facing towards the beach.